I had started painting Aglanda Herald Of Razmir a couple of weeks ago but then got caught up in other projects. I picked it back up last night and went in another direction. I’m going to use as an specific NPC in my Celestial Winter campaign. Not sure that this unusual coloring will lend the mini to other roles down the road but maybe? 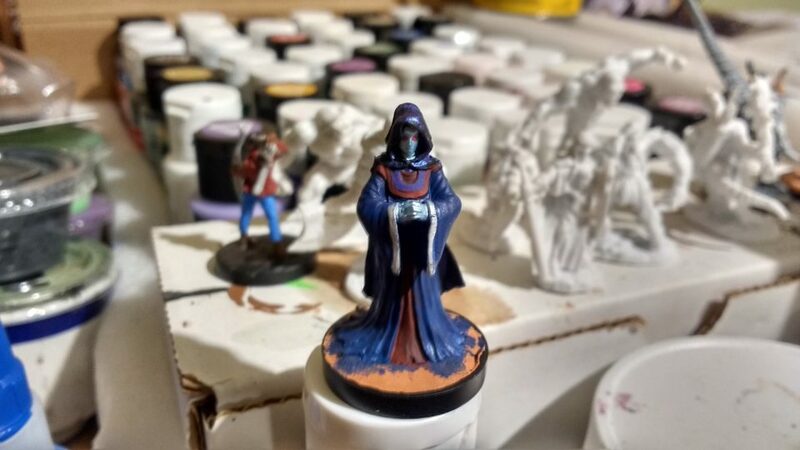 I had only painted the robe dark blue in my initial session so everything else was part of last night’s speed paint. 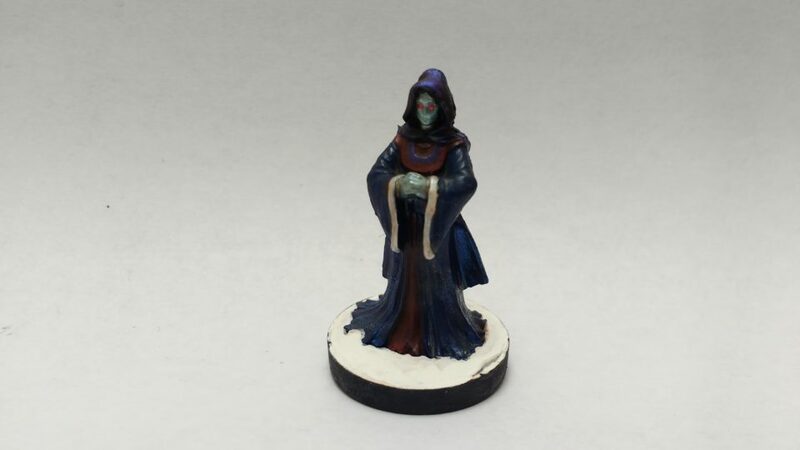 I was going to try for a ‘rainbow’ blend on the robe but I’ll save that for another miniature. All in all, I’m happy with how it turned out. Even if the face keeps on making me think of Ultraman for some reason. 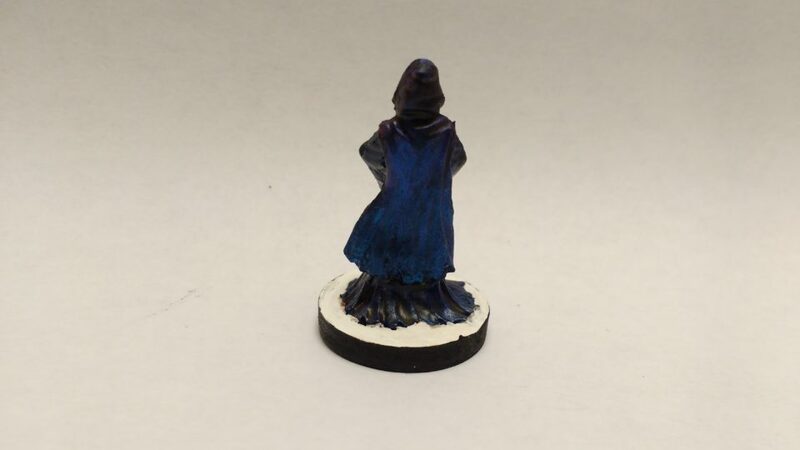 I picked up two shades of Color Shift paint recently and it was a lot of fun to blend them on the cloak. I don’t think it shows up in photos as much but it is a cool effect that makes the cloak look magical.